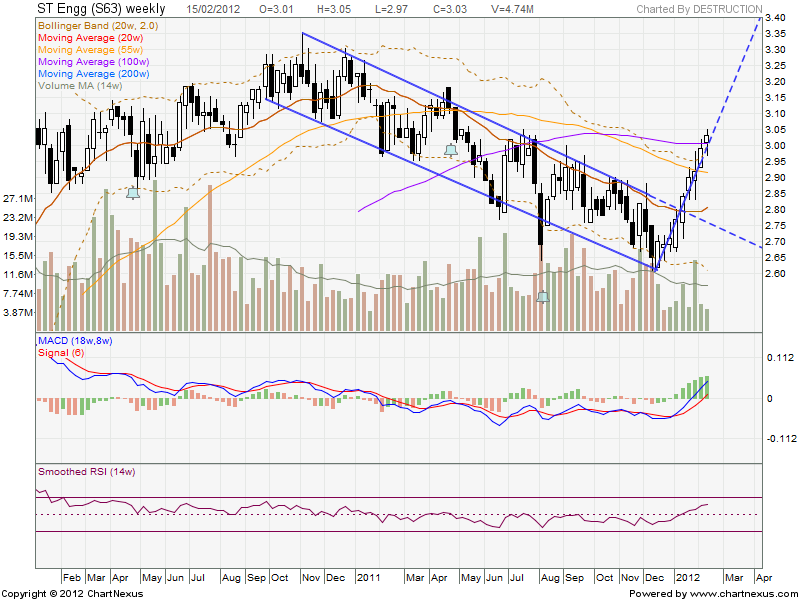 ST Engineering has been increasing in stock price since its bottom in Dec. I am pretty bullish about this stock given its latest run that has been extremely steady. I like anything steady, obvious and clear. This is clear. ST Eng just cleared the 100w MA line and is really trending up with the RSI and MACD both providing high confirmation to the strong uptrend. Furthermore, ST Eng was just in the news for its Airshow deals, fueling further and future growth.